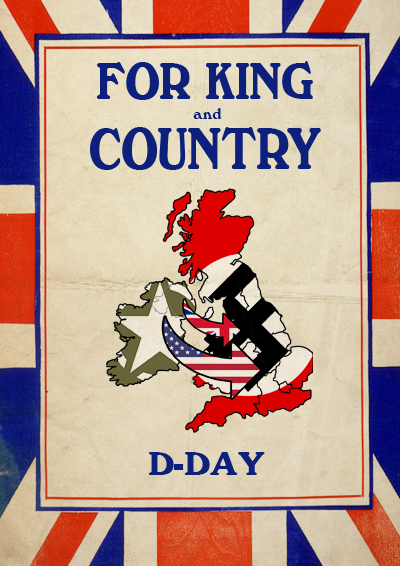 IT'S 1944 - FOR NEARLY FOUR YEARS BRITAIN HAS SUFFERED UNDER GERMAN OCCUPATION. The world watched while Britain was brought under the jackboot, her armies shattered, her resolve broken. Swastikas fly from public buildings on the mainland, while the British Resistance wage a secret underground war against the German occupiers, and treacherous British collaborators. So far, any attempt at liberation has been impossible. The German stranglehold on mainland Britain has been absolute, and their highly advanced ship-killer missile system has kept the Royal Navy and the American Navy far from the British coastline. But with Hitler distracted on the Eastern Front, the time has come for action. Several hundred thousand American and Empire forces have gathered on the coast of Ireland, ready to make their way across the Irish sea and begin the liberation of the United Kingdom. To avoid a protracted and bloody conflict, an ambitious plan has been drawn up to try and break the back of the occupying forces by liberating London in a single day. At the heart of the plan is the British Resistance, who are tasked with clearing a path to London for the liberating forces. You are one of the leaders of the Resistance. Your decisions will determine whether this bold plan ends in failure or victory. Will Britain become a war-torn meatgrinder, or can the war be over in London by Christmas? "For King and Country: Operation Sealion"